GAO bid protest decisions, commentary on GAO bid protest regulations, and related topics. There’s no doubt about it: being involved in a bid protest can be very intimidating for any government contractor. 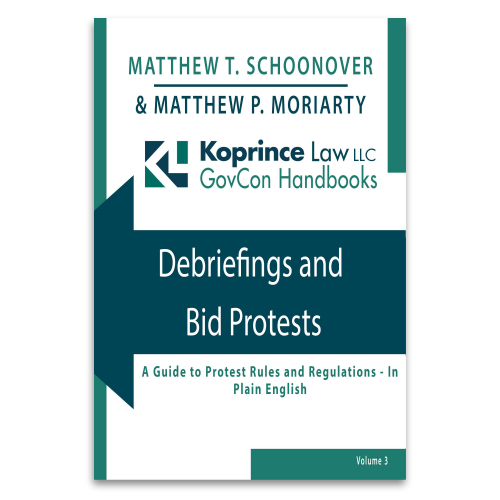 For that reason, the third volume of our Koprince Law Government Contracting Handbooks discusses debriefings and bid protests in detail. 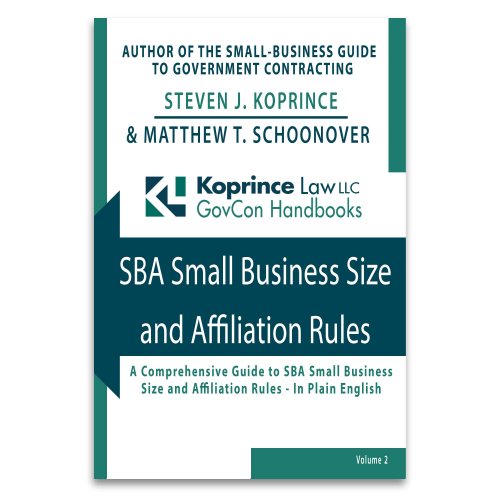 Federal agencies have long been afforded wide discretion in defining solicitation requirements to meet their contracting needs. But are a solicitation’s requirements acceptable even where they’re likely to conflict with local zoning codes? What about where the solicitation documents conflict with one another on whether certain requirements are considered “requirements” at all? And finally, is an LPTA procurement acceptable where such conflicts have undoubtedly led to price uncertainty among the bidders? GAO says, “yes” to all of these, so long as the requirements meet the agency’s needs. In evaluating proposals, an agency will sometimes use “adjectival ratings” (e.g., Excellent, Good, Acceptable) to describe its assessment of a proposal or portions of a proposal. But, importantly, an agency cannot evade its responsibility to reasonably evaluate proposals–based on the articulated evaluation criteria–by deferring solely to the assigned adjectival ratings. In other words, if the agency doesn’t perform a true qualitative assessment, but instead relies on mere labels to make its ultimate award decision, GAO will likely slap the agency’s hand. It is decently well established that GAO will recommend protesters be reimbursed for protest related costs when an agency unduly delays in taking prompt corrective action. In a recent GAO decision, however, the Navy argued the question of undue delay should be evaluated from the time the Navy fully understood the extent of its error, not the initiation of the protest. Many GAO protests can hinge on fairly minute details that render a proposal unacceptable. A recent GAO case is a reminder that a contractor’s GSA Federal Supply Schedule must have sufficient duration to cover the period of performance for a blanket purchase agreement or the contractor may be ineligible for award. One GAO protester is starting to feel like Bill Murray’s character from Groundhog Day, and not in a good way. In a recent series of protests, a contractor challenged the terms of various solicitations as unduly restrictive of competition. These protests resulted in successive corrective actions. Growing weary of continually protesting the same issue without tangible resolution, the protester finally requested GAO recommended it be reimbursed for its costs. Unfortunately for the protester, GAO had less sympathy for its situation.